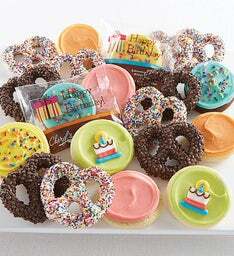 Send your condolences with a basket of desserts perfect for sharing. 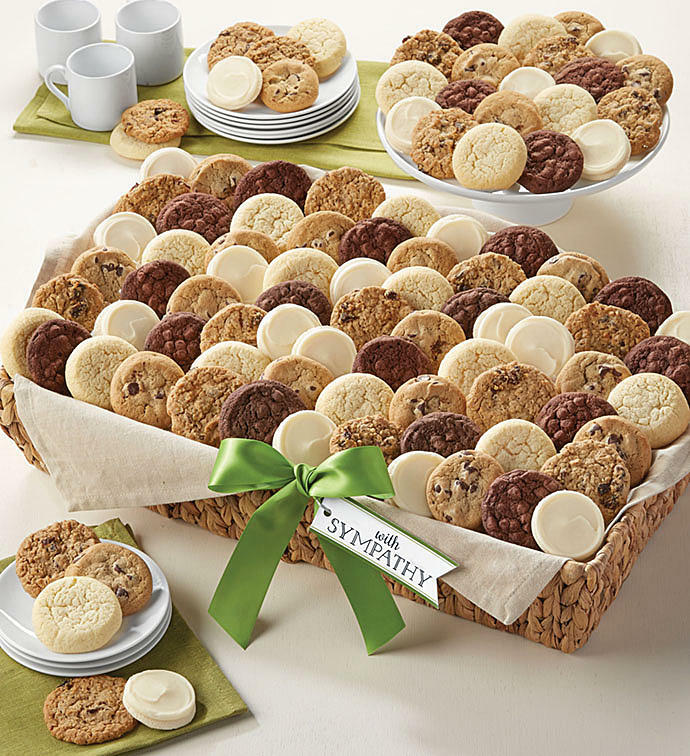 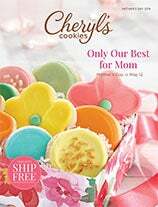 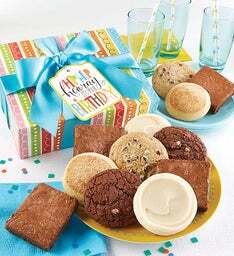 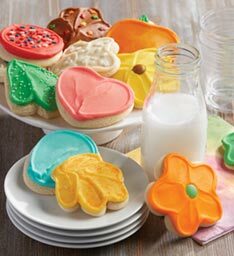 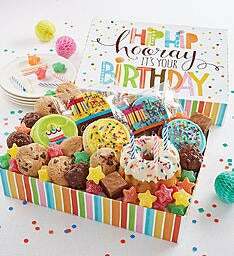 We’ve included individually wrapped snack size chocolate chip, oatmeal raisin, sugar, chocolate chocolate chip and buttercream frosted vanilla cut-out cookies delivered in a pretty basket that can be easily displayed on a table. 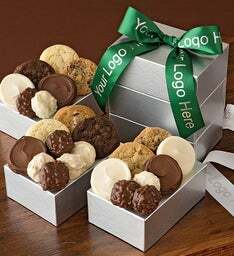 OU D.